Scoolstars is an initiative launched by Koshient Ventures Pvt. Ltd., an enterprise founded by the creators of some of the largest initiatives in the history of education industry in India. Known for their disruptive path breaking innovations, the founders of Koshient envision the evolution of Scoolstars as the world's largest platform that will institutionalize the identiﬁcation, assessment and nurturing talent beyond academics for school students, complementing the efforts of schools. 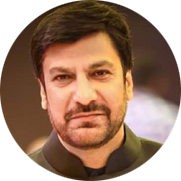 Known for their disruptive path breaking innovations, the founders of Koshient envision the evolution of Scoolstars as the worlds largest platform that will institutionalize the identiﬁcation, assessment and nurturing talent beyond academics for school students, complementing the efforts of schools. Bindu Rana is a well known researcher in educational pedagogy. She led the largest R&D initiatives ever undertaken in India, building a formidable repository of constructivist content. 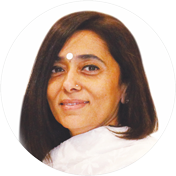 She is credited with having conceptualised and created proprietary brands such as The Millennium Learning System for pedagogic excellence in schools, EDAC learning System, Little Millennium learning System for preschoolers, currectly adopted by hundreds of preschools in India and Scaffolding Learning System. In the recent years, as the Founder & CEO of Millennium Education Management, she has mentored the evolution of some of the best educational institutions in the country and built a sustainable and profitable enterprise right from the drawing board stage. She holds a PhD in education. Abhinav Dhar is best known as the innovator of Smartclass and for leading its emergence as the biggest initiative ever in the history of education industry in India. Smartclass and its variants went on to impact over 20 million learners across over 30,000 schools in India and various other parts of the world. Abhinav has been deeply involved in conceptualising and introducing significantly large edtech initiatives over the last two decades across organisations such as NIIT, Royal Dutch Shell and Educomp. Notable among them are NIIT@School, Class Transformation System, Mathguru, League India Schools and English Mentor. He built and led the largest team of education professionals of over 10,000 people across India over this time. He holds a Masters degree with specialism in Leadership Studies from the Strathclyde Business School, Glasgow, UK.